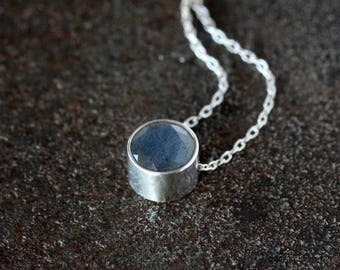 January Birthstone Jewelry. 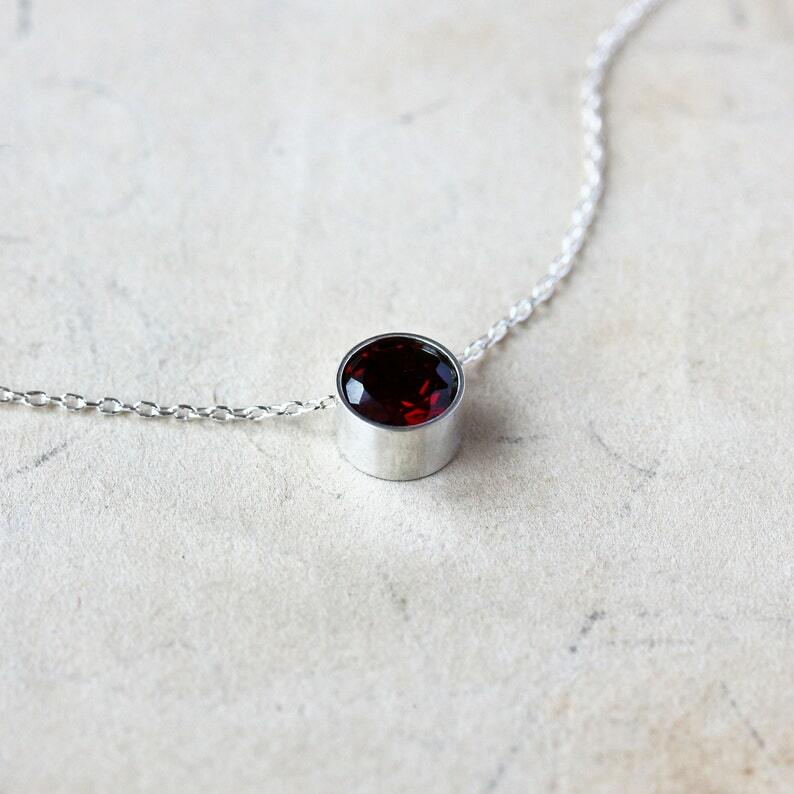 A 6mm deep red Garnet, beautifully faceted for maximum sparkle, is set entirely in sterling silver in this versatile necklace, perfect for layering. 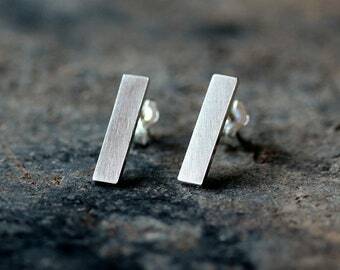 A slim but sturdy sterling silver chain slides freely through the setting. 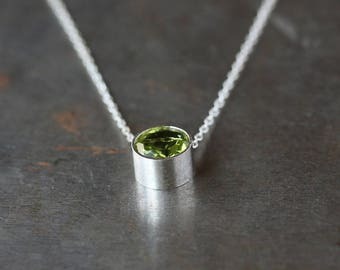 The necklace is finished with a simple spring ring clasp. Choose your perfect necklace length from the drop-down menu. The last photo shows the same size gemstone and setting in a 16 inch necklace. The crystal is pretty but I ordered and 18 inch chain and received something much shorter so I’m disappointed. I was at first hesitant to complete this purchase because the necklace was a little more on the expensive side (for me). When I received the necklace I was very pleased with how it appeared and the quality. I wore the necklace for the first time today and received compliments from two different people. I would buy from this seller again - including the same item for a friend or family -member as a gift.